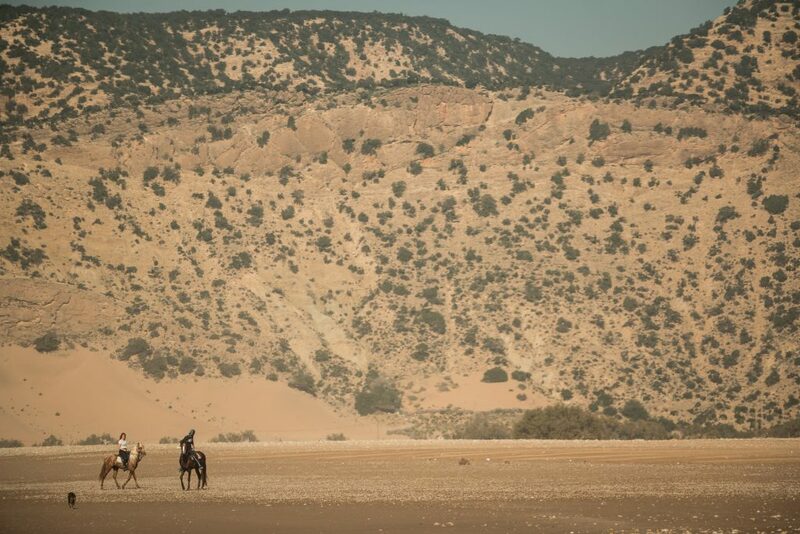 This horseback trail ride crosses several beautiful landscapes: Argan forests, sand dunes, wild beaches and breathtaking cliffs offering panoramic views across the Atlantic ocean. After a night near Essaouira you will ride across the coastline to Tafedna, spending the night in a hidden Berber village. Then make your way to L’Ane Vert where a few days of relaxation & surf are waiting for you. Our team has tested this carefully tailored package and we are beyond excited to be able to share this dream holiday that showcases our spectacular region. Meeting in the late afternoon in Essaouira, you will be picked up in a funky convertible, transported to the White Kasbah. Fred, will cook you a traditional tagine or fish grill and keep you entertained the evening with his Belgian humour. Fred has lived in Essaouira for over 8 years and is a great host to get you ready for a trip through the wilderness. The next morning, after an early breakfast, Fred will take you down to the beach where the horses will be waiting for you. 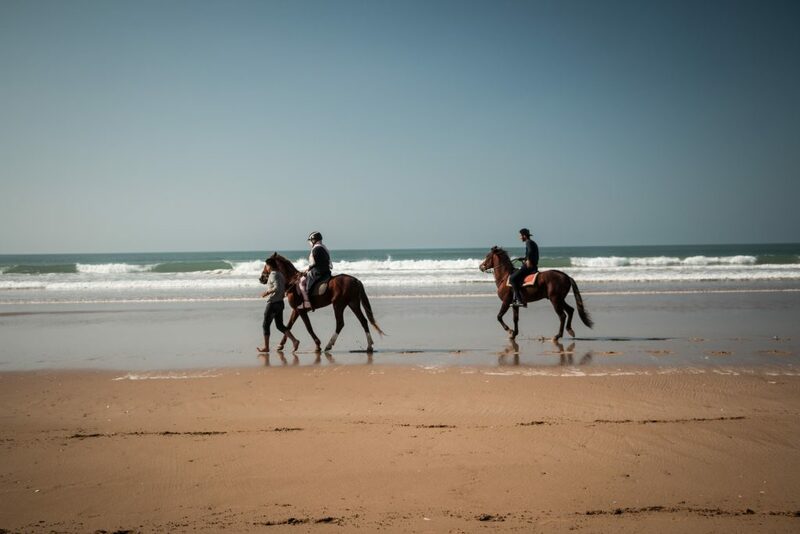 Once you are comfortable and chosen your horses you will begin a 4 hour ride following the wild coastline through secluded beaches, sand dunes, following spectacular cliffs. You will arrive in the hidden fisherman village, Iftan, where you will spend the night in a traditional berber home. Once waking up and sharing a traditional breakfast next to the beach you will make your way to L’Ane Vert through a comfortable 2 hour ride, arriving in time for lunch on our ocean view terrace. Once at L’Ane Vert you will have three nights in accommodation of your choice and during your stay you will have an organised surf lesson with our instructor Jamal who will get you confident in the waves. All meals are included and there are plenty of extra activities that we can organise to keep your trip as unique as possible! A day and a half of riding traditional Moroccan Barb and Arabian stallions which are well schooled and well balanced. Gallops on long deserted beaches. 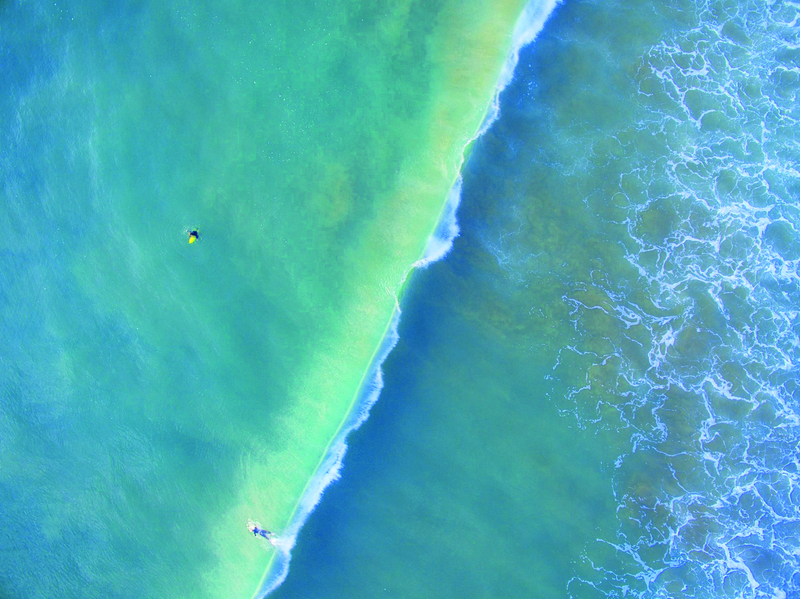 The coastline is known for being windy so is not popular with sunbathers, meaning that the beaches are perfect for riders. OR Essaouira aiport between 18 and 19h. 2nd day of horse treck – arrival and night at L’Ane Vert. 4rd day at L’Ane Vert, Surf lesson ( 2h ) / Yoga session.